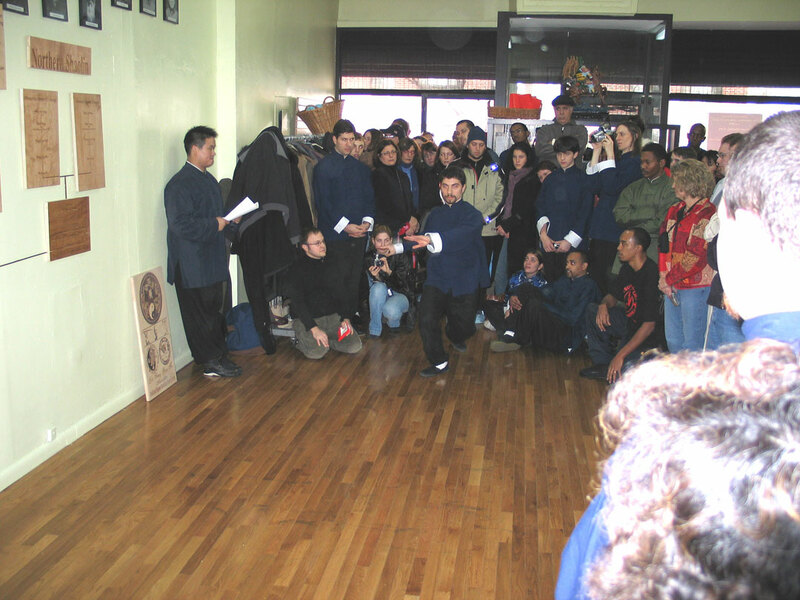 Er Lu Cha Chway for starting the Grand Opening martial arts exhibitions. 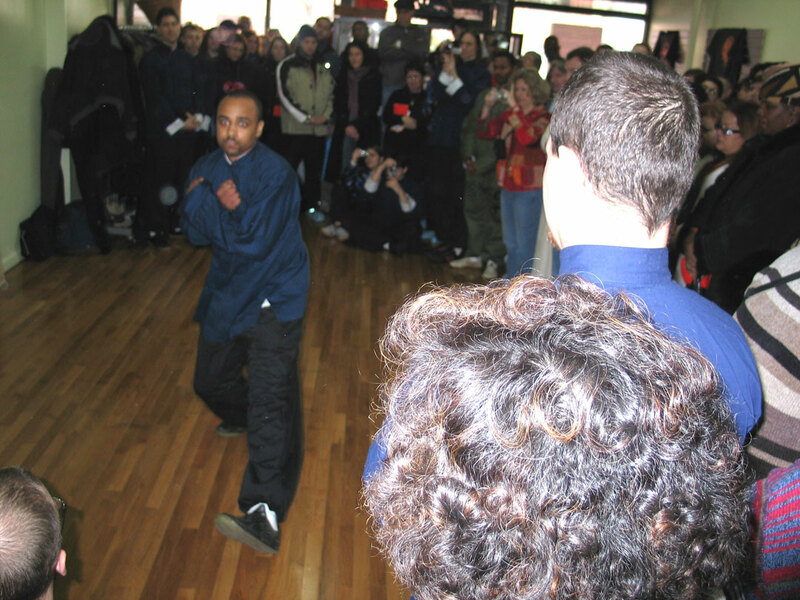 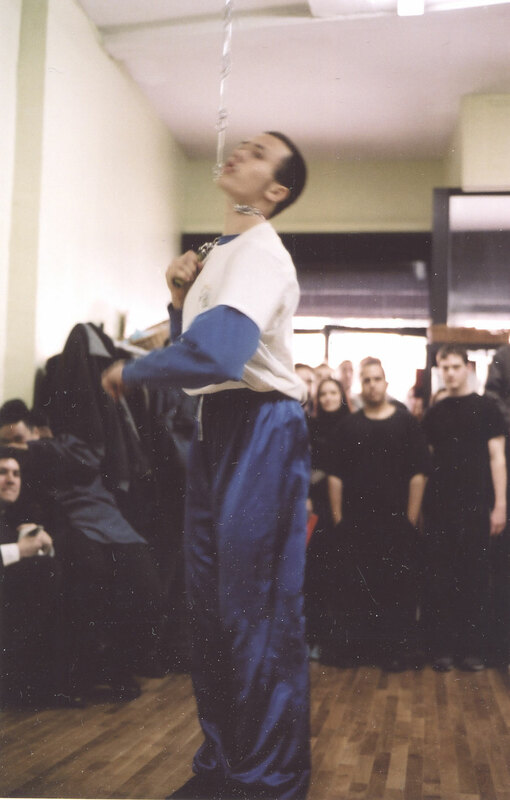 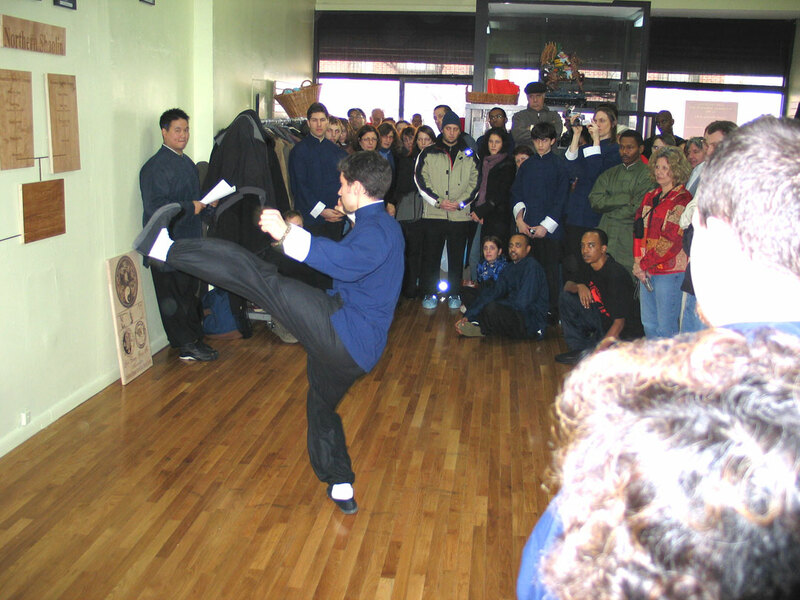 Zhi Cheng School student Peter Blas demonstrated Shaolin Mantis form Si Lu Bun Dah. 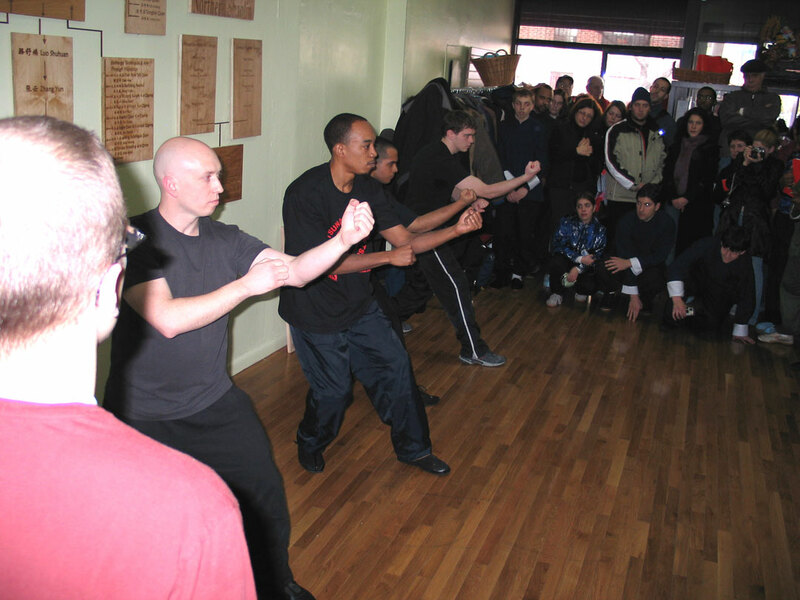 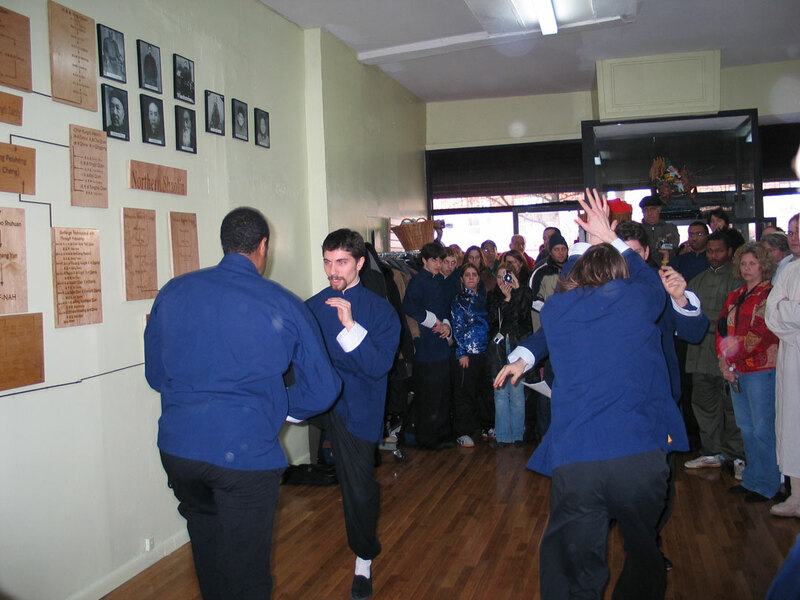 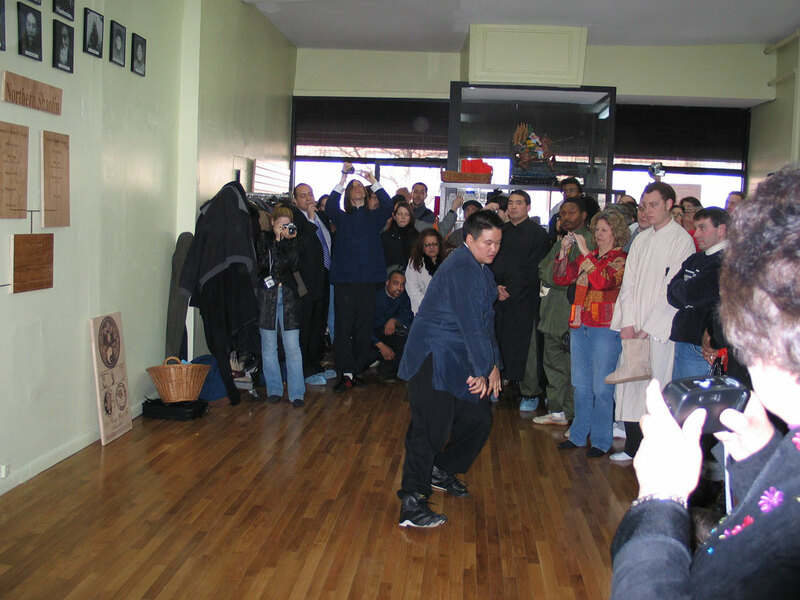 YCGF students of New Jersey and New York demonstrated Wu Style Taiji Quan Essential Form. 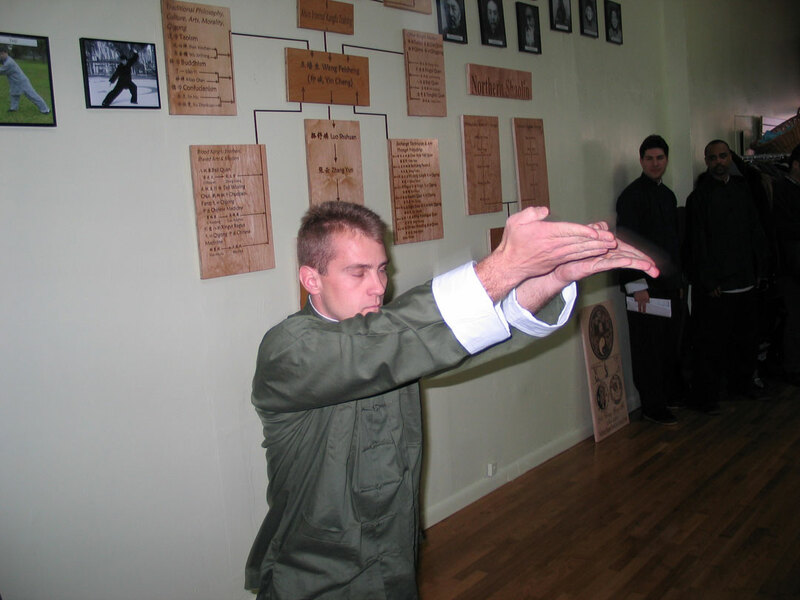 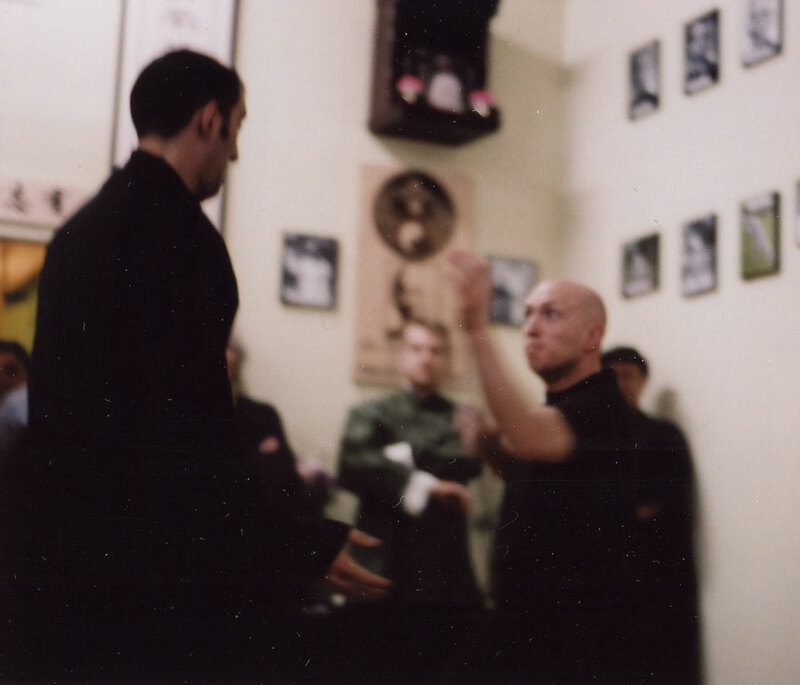 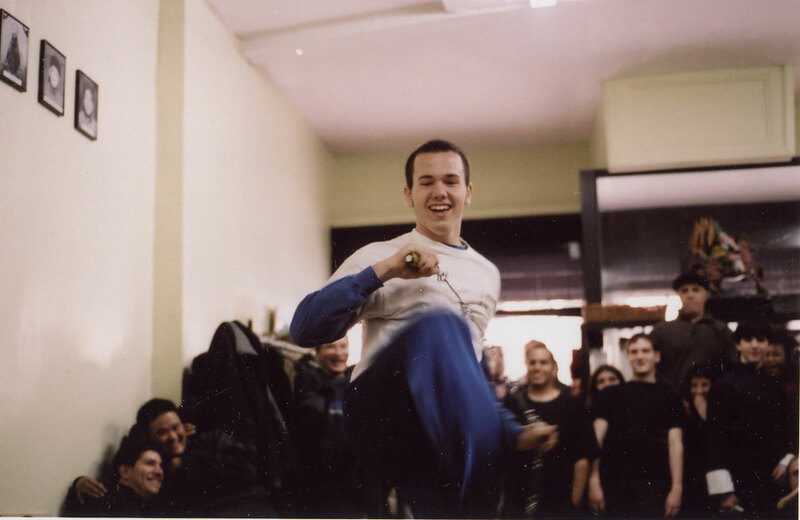 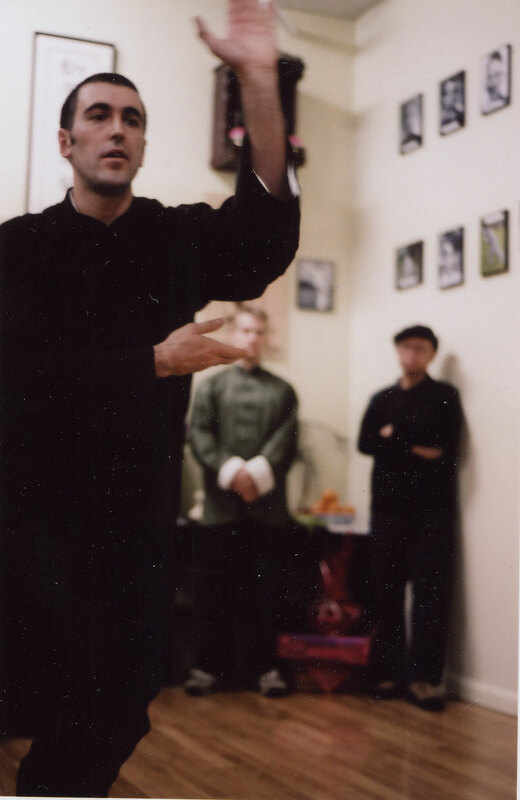 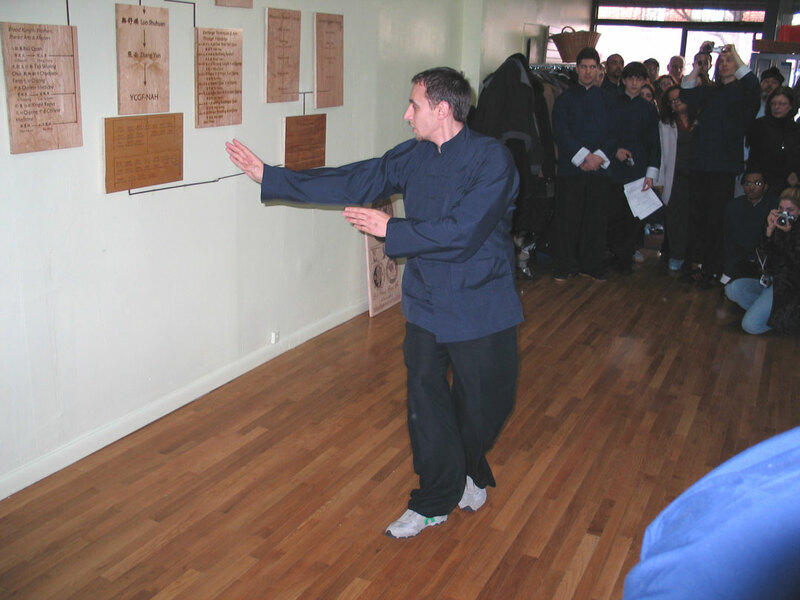 Dmitriy Gak demonstrated Yin Style Bagua Zhang. 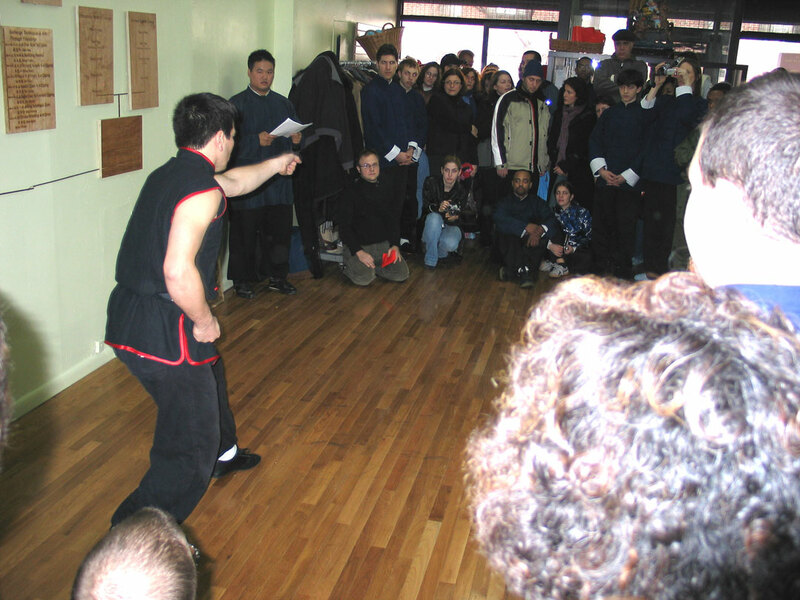 Zhi Cheng School students demonstrated Shaolin Lohan Quan. 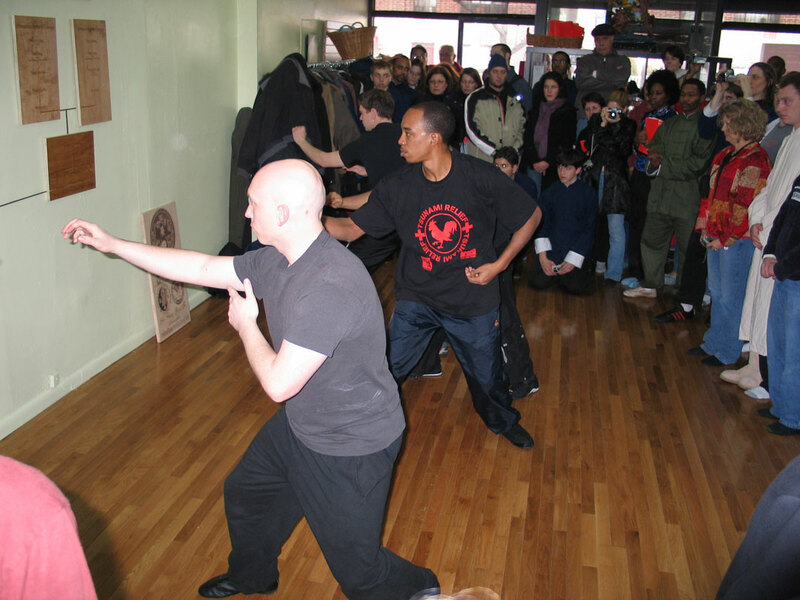 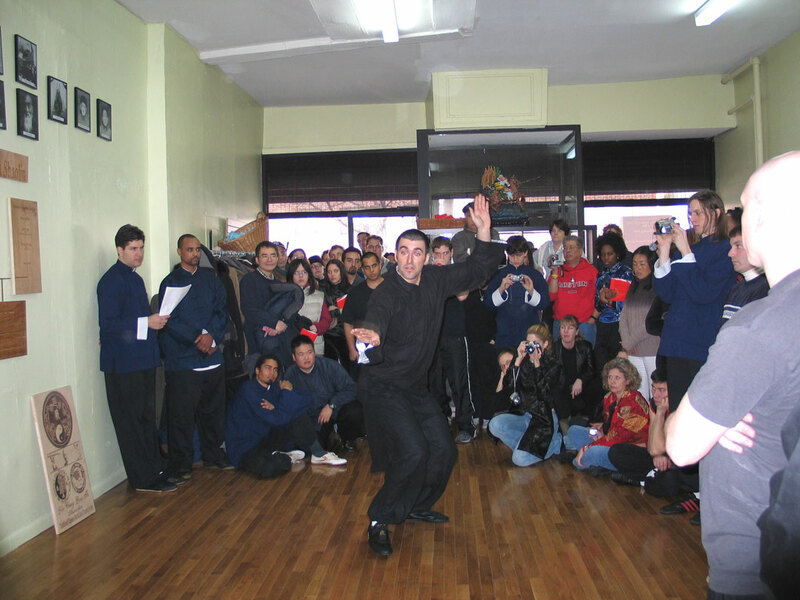 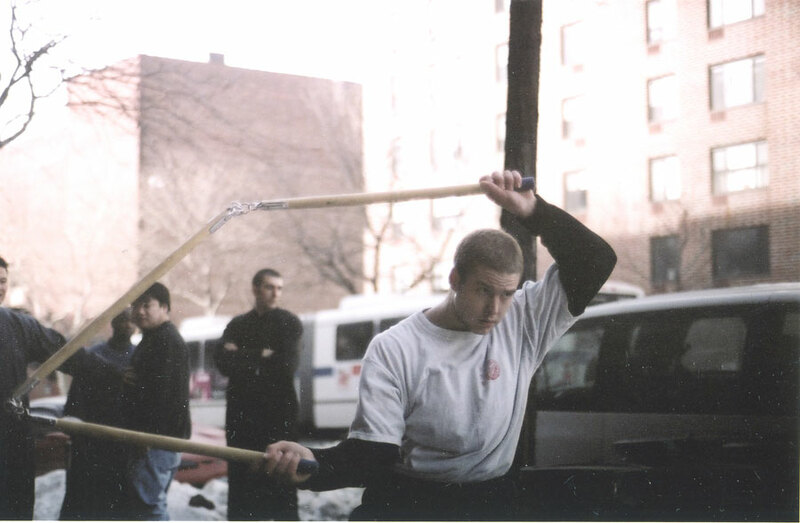 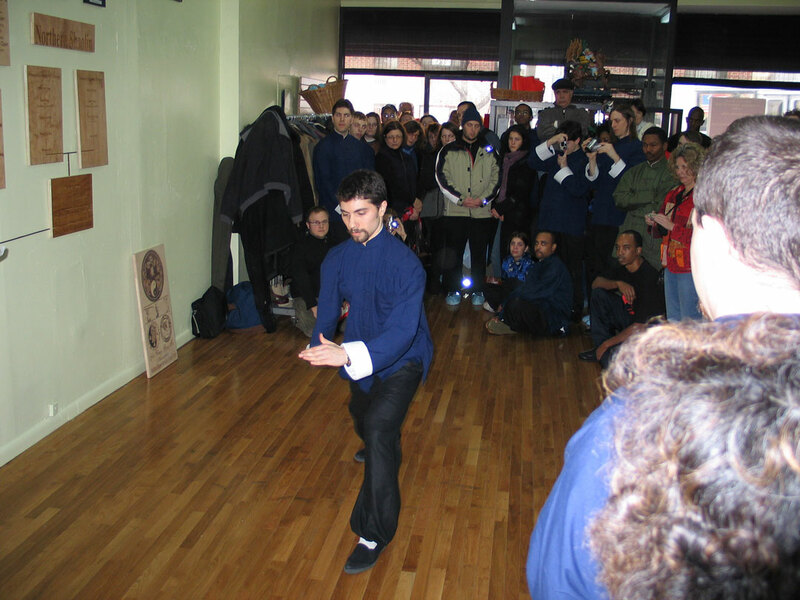 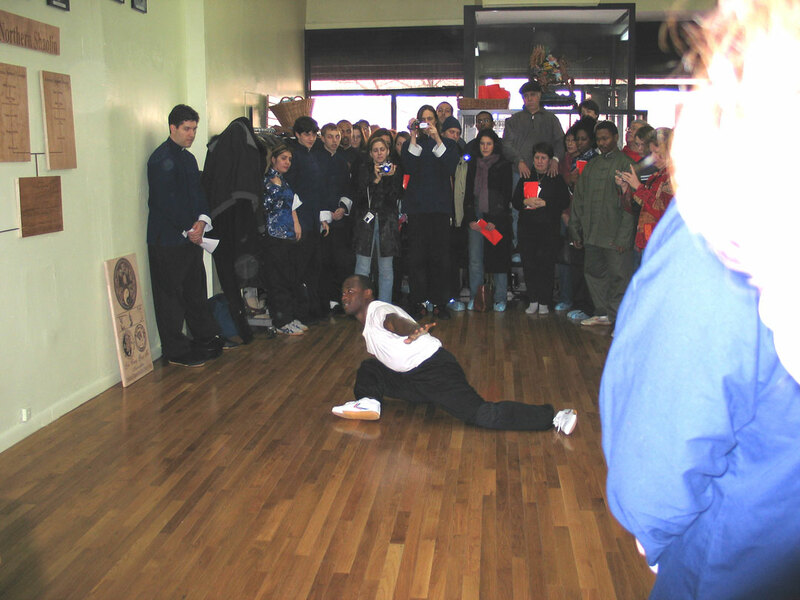 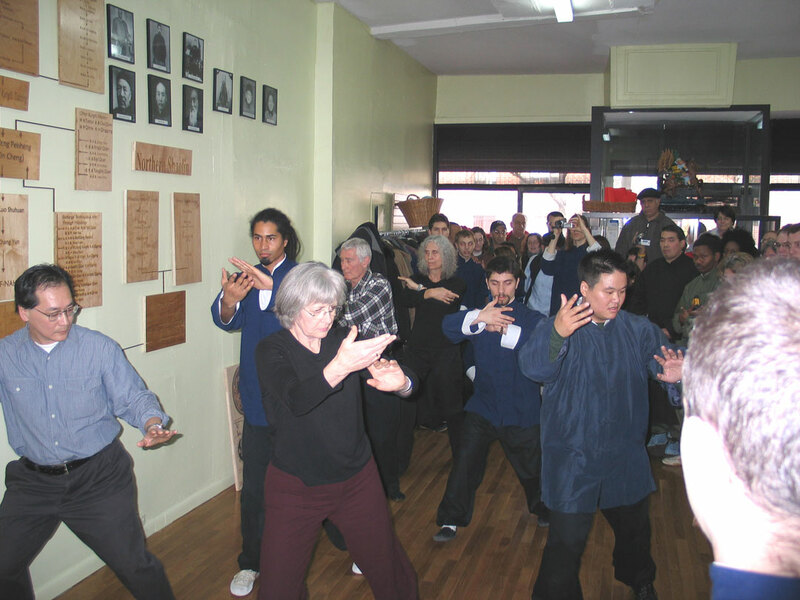 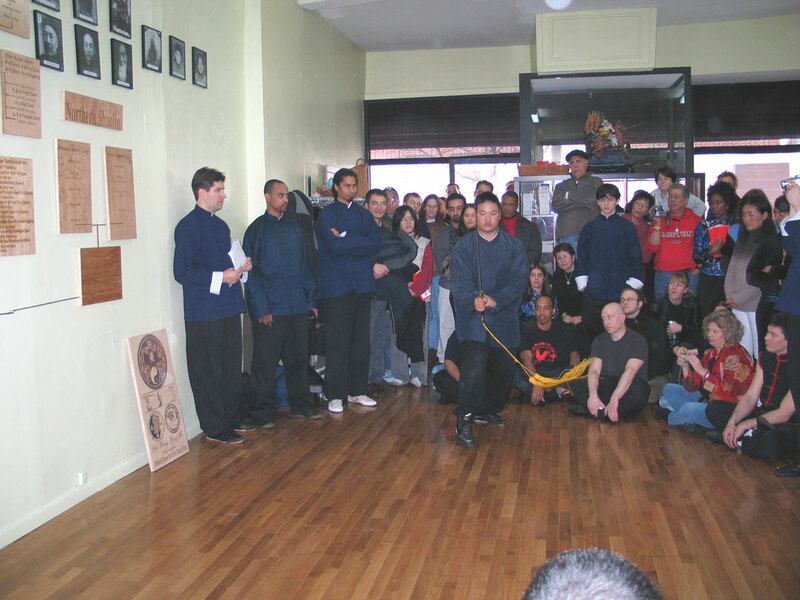 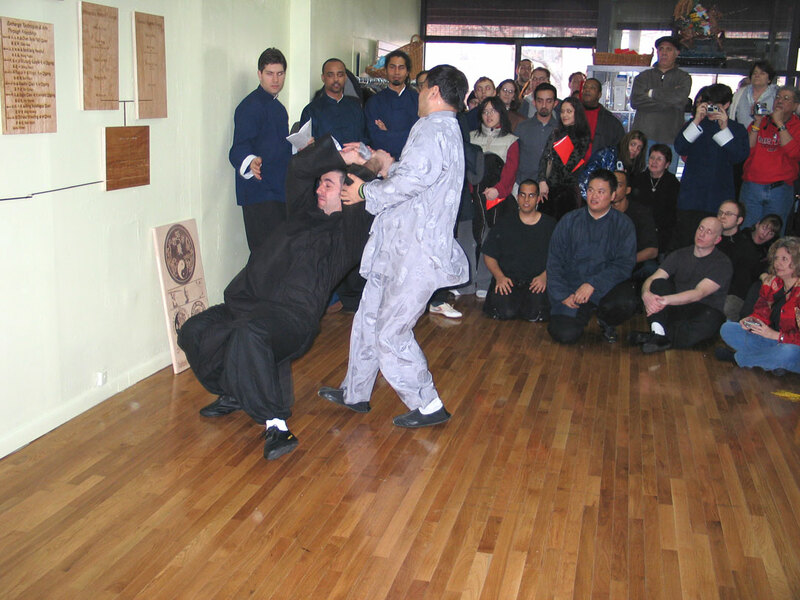 demonstrated Ditang Quan - ground gongfu form, 3-section staff, and 9-section whip. 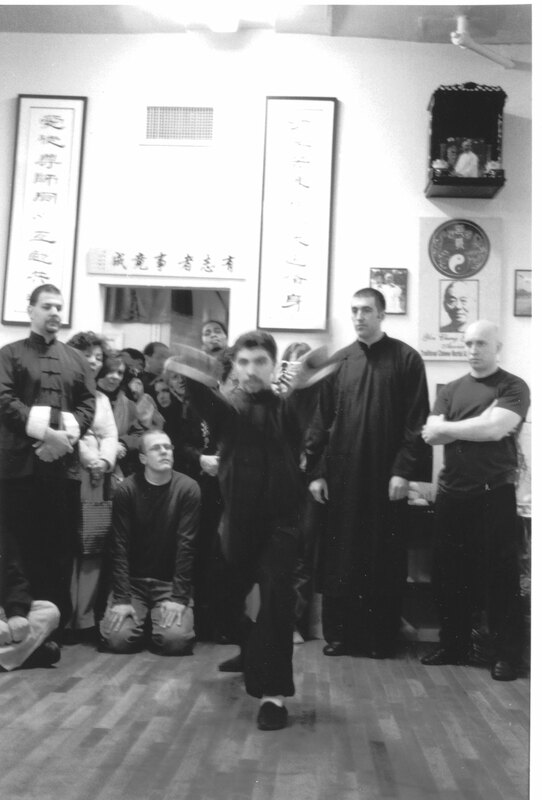 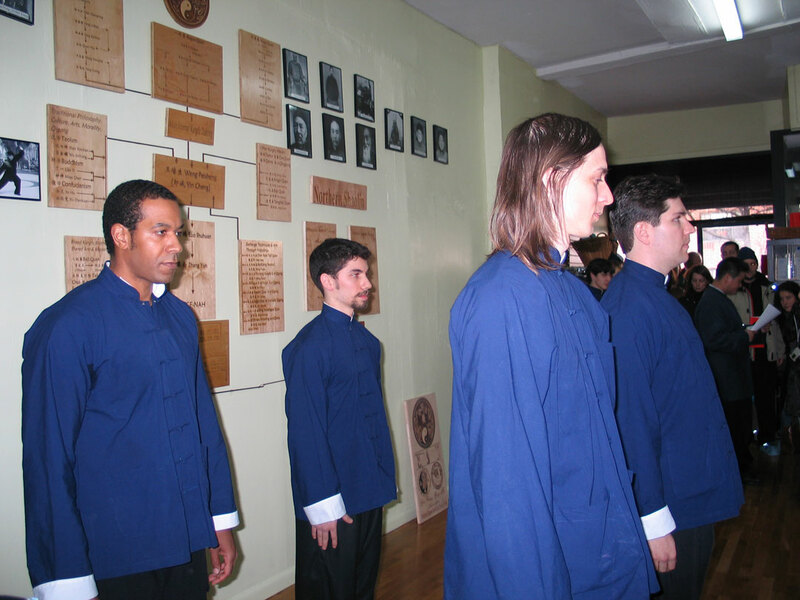 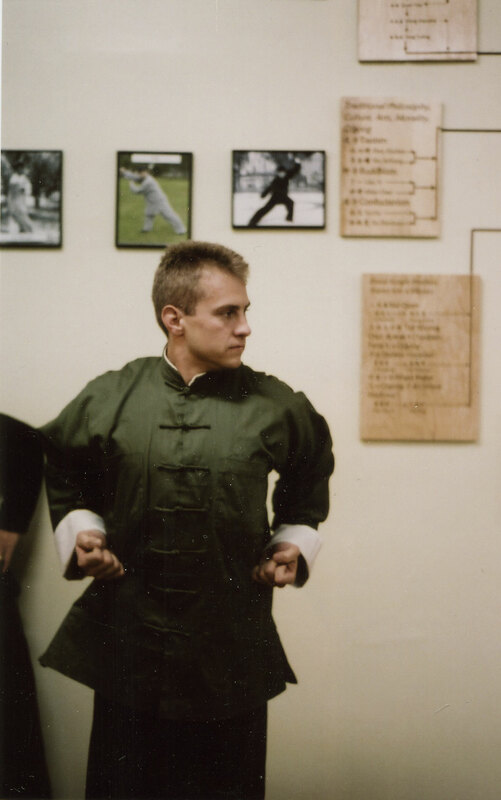 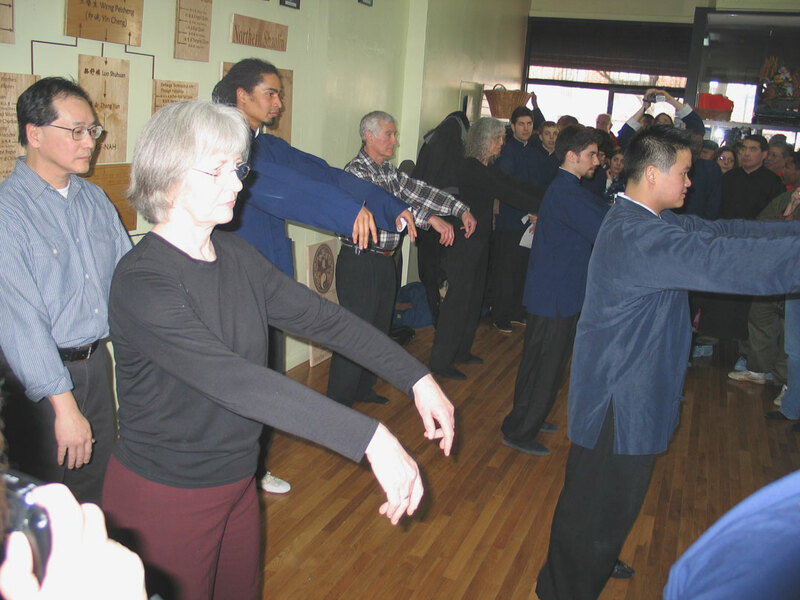 Students of Shifu Strider Clark from Pittsburgh, PA demonstrated Baiyuan Tongbei Quan, form and fighting exercise. 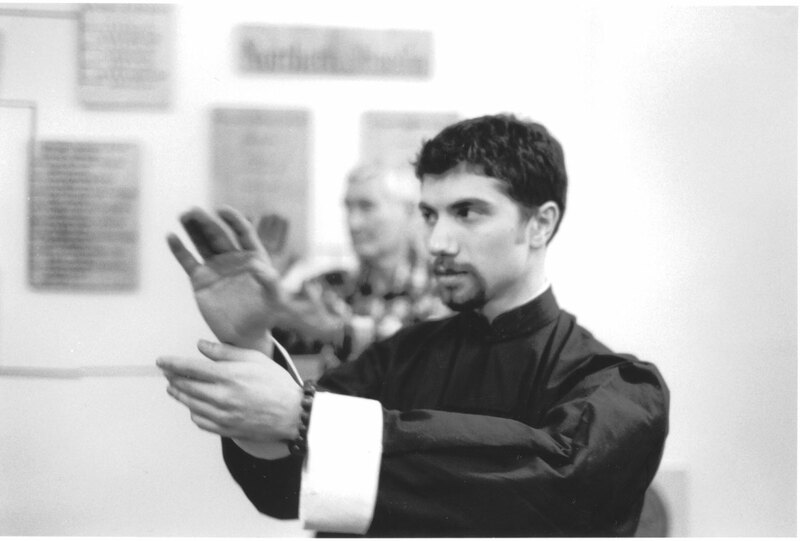 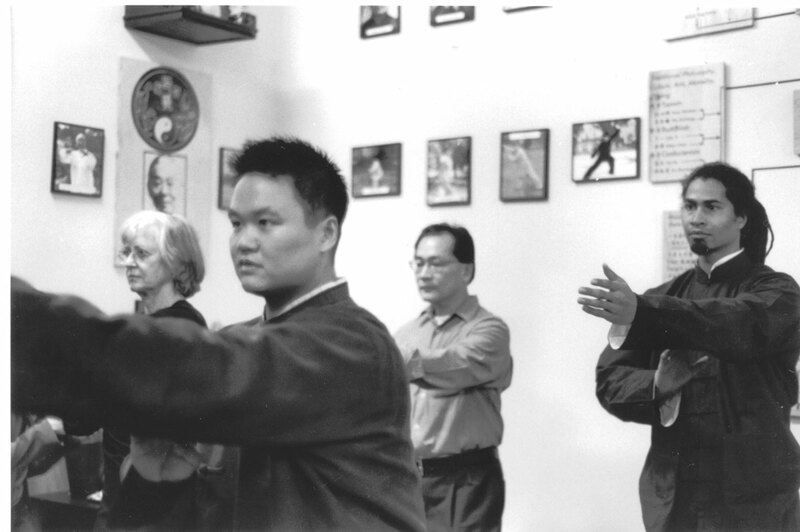 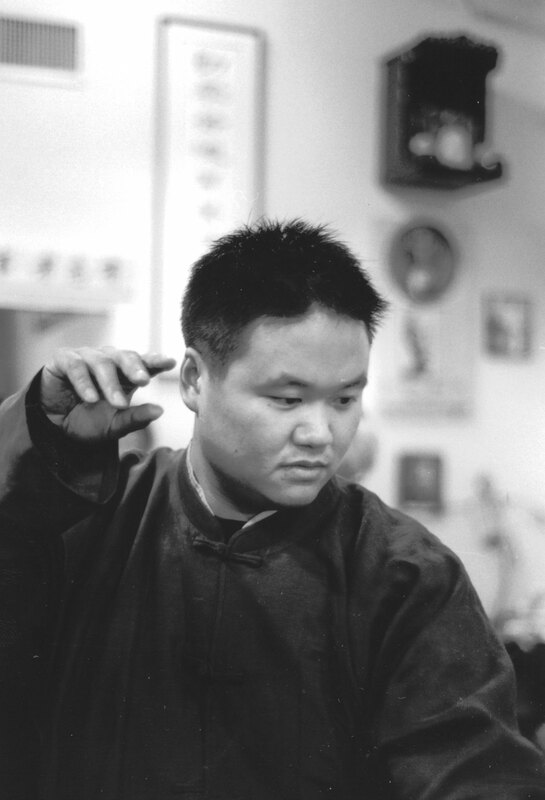 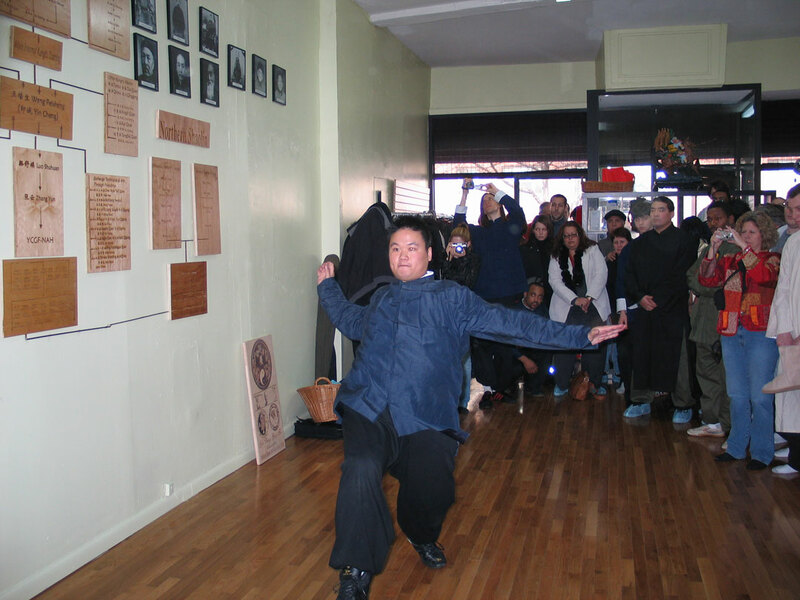 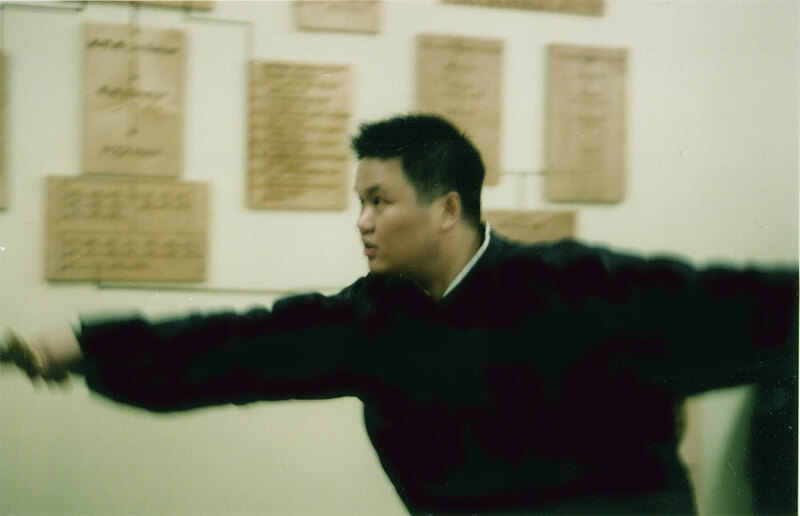 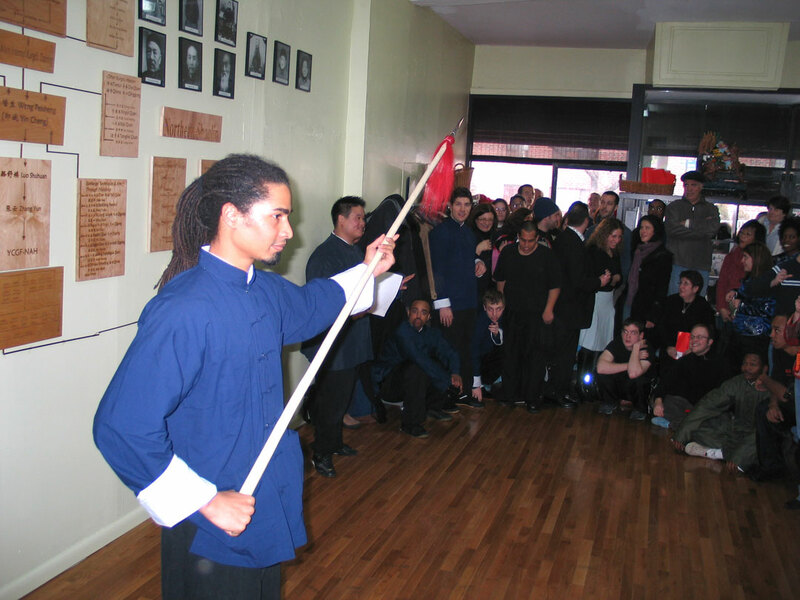 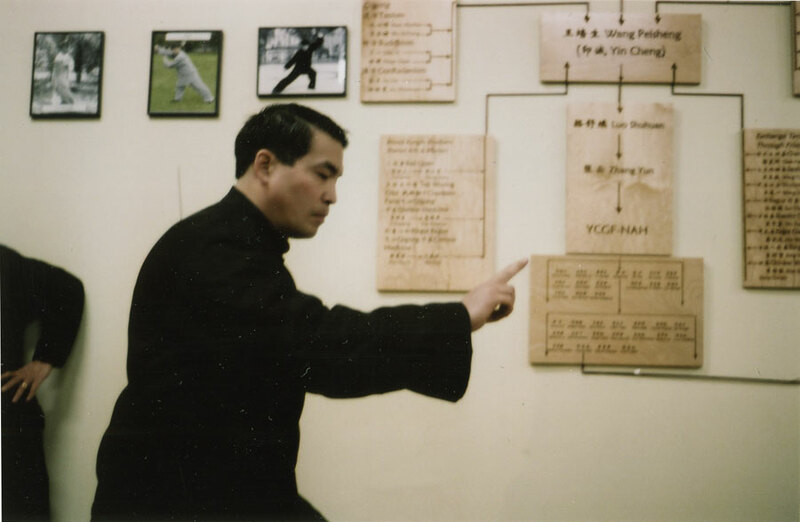 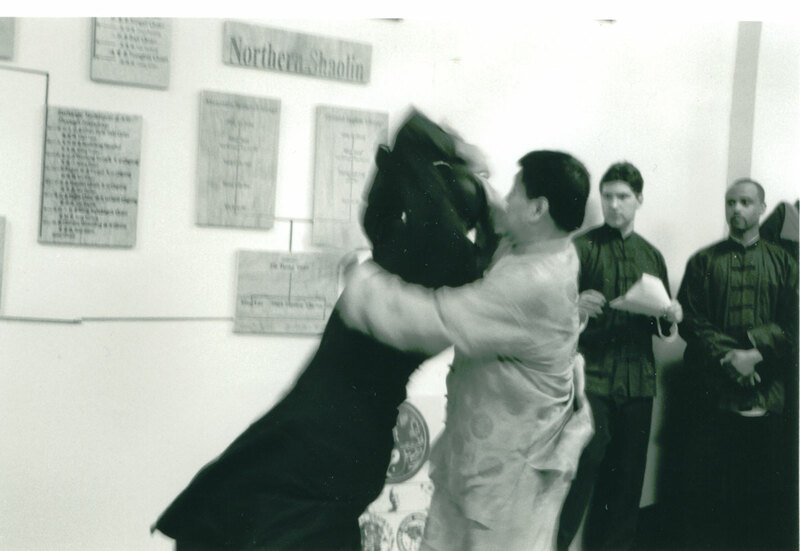 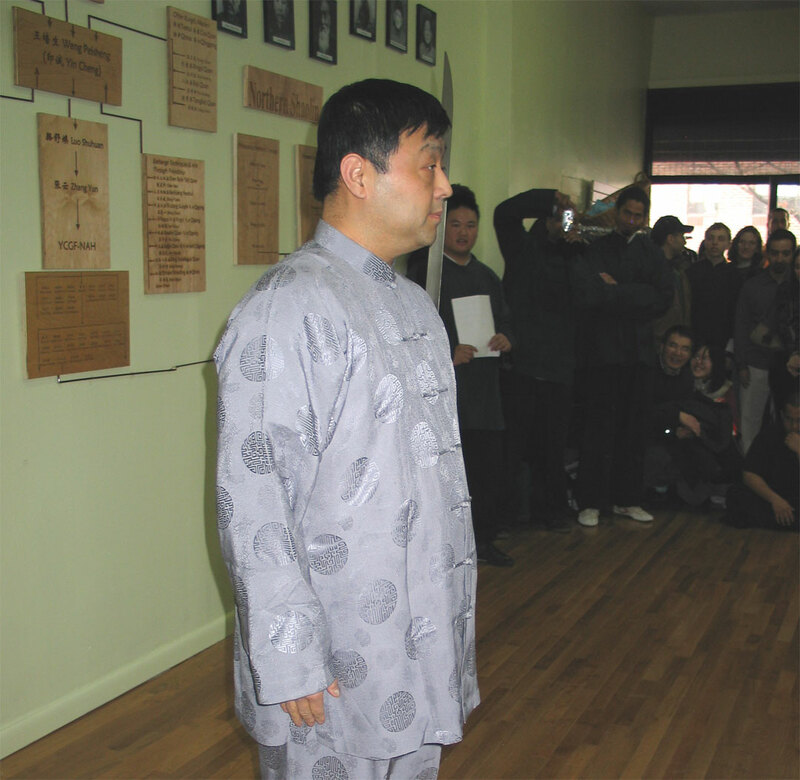 Tito from Zhi Cheng school of New York demonstrated 36 Chaiquan form of Baiyuan Tongbei Quan. 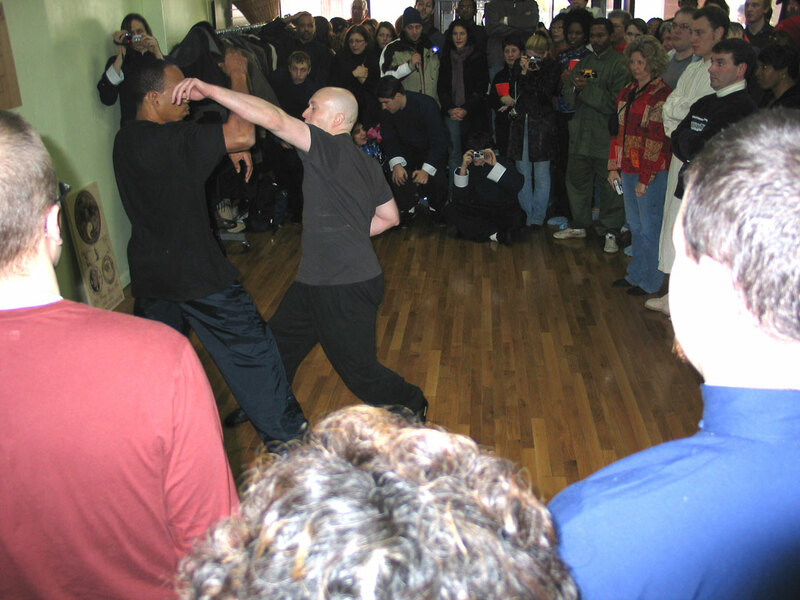 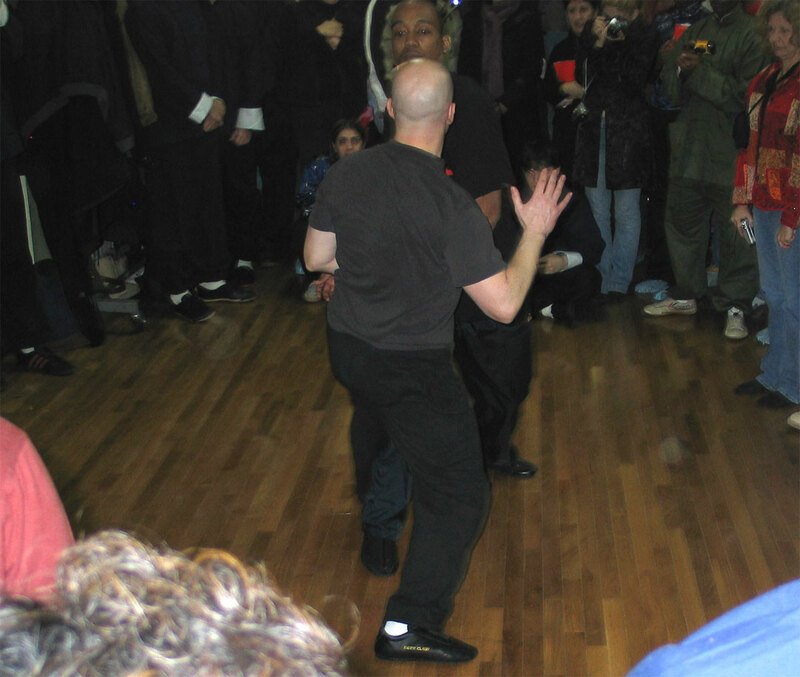 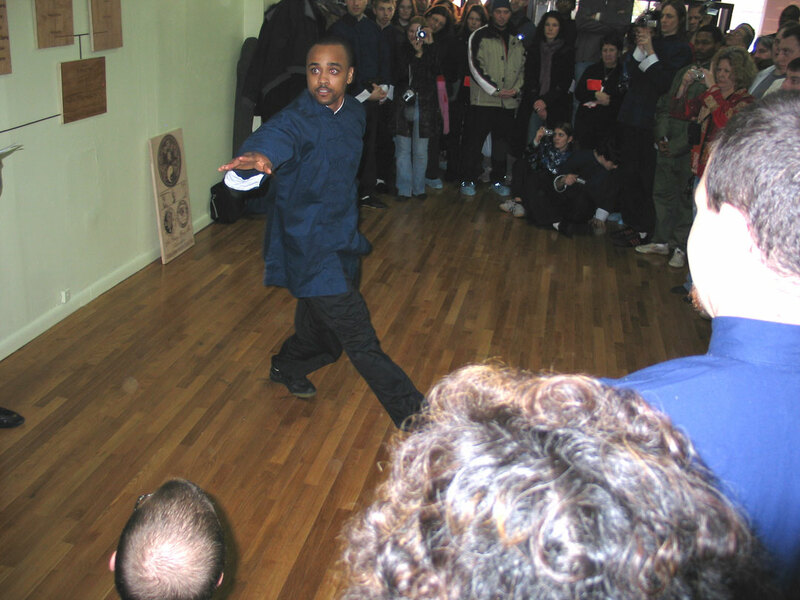 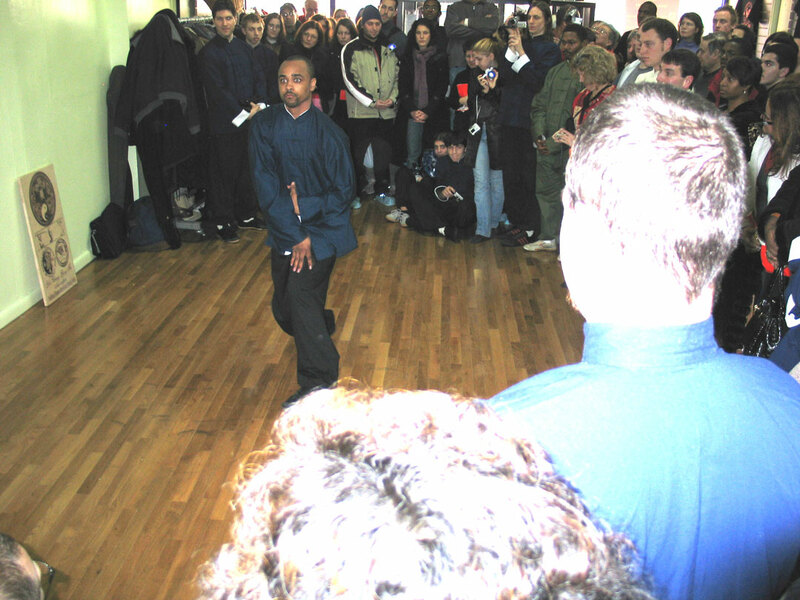 Chris Young from Pittsburgh demonstrated Zashichui form of Xingyi Quan. 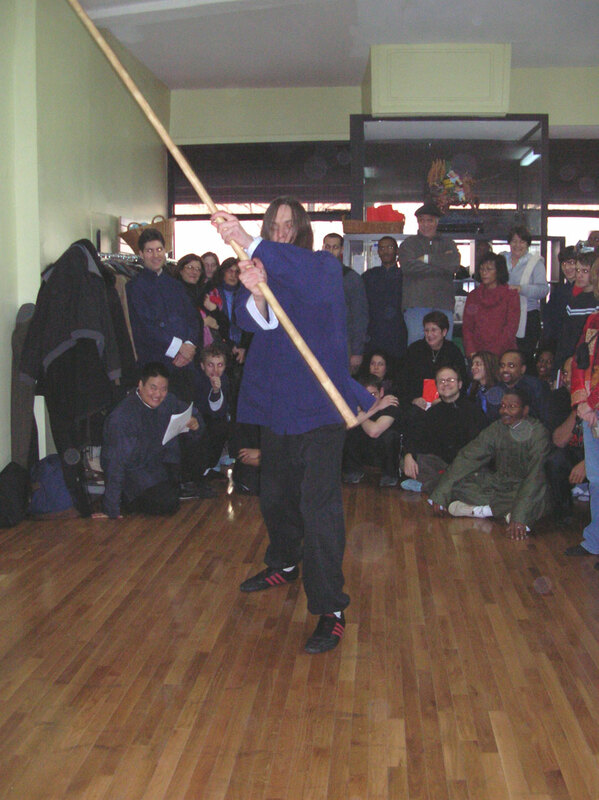 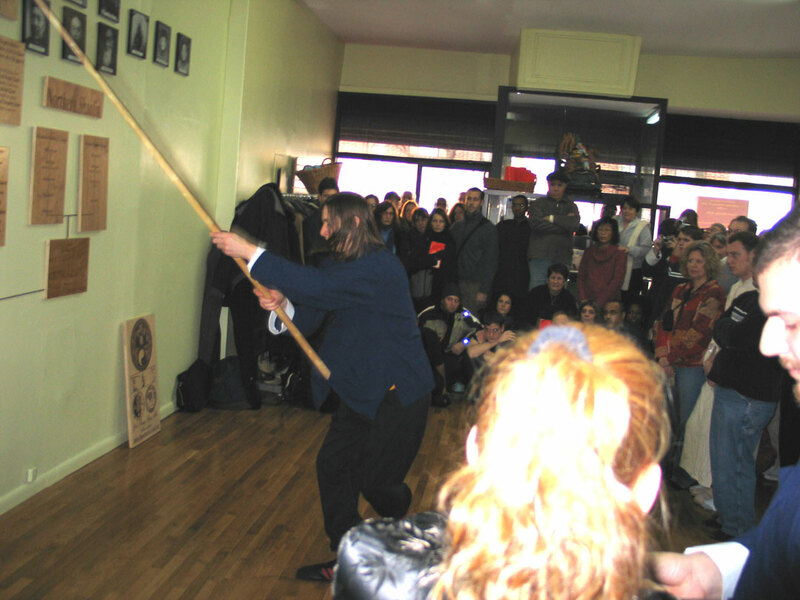 Zhi Cheng School students Peter Doak and Frank Neely demonstrated Shaolin 6-harmony staff and spear. 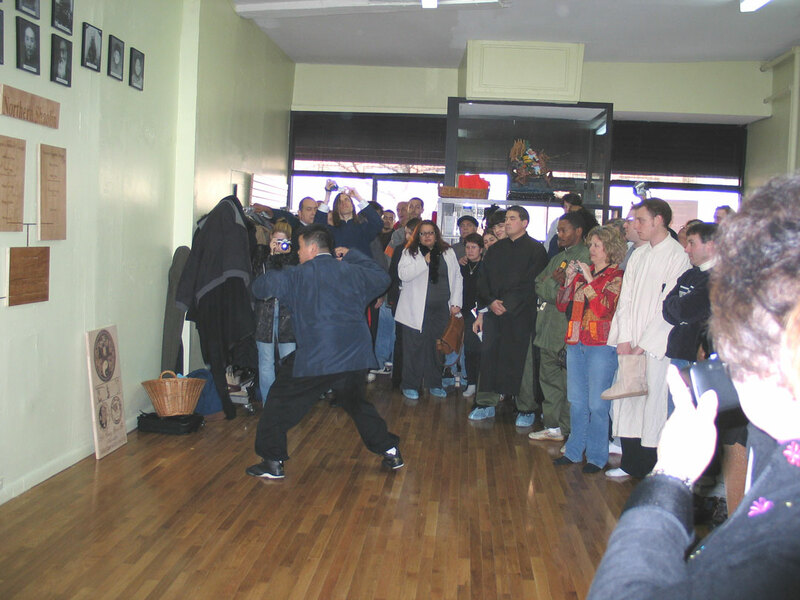 Shifu Mark Sweeney from Maryland demonstrated Shaolin form Mai Fu form. 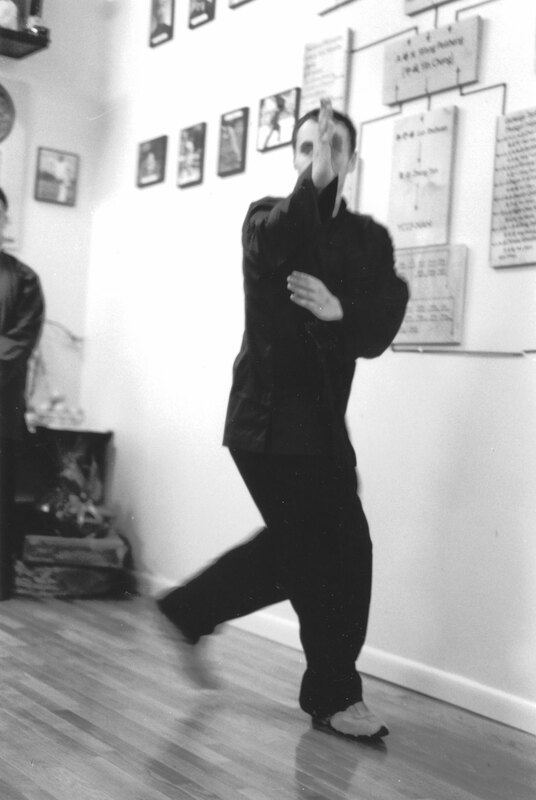 Shifu Strider Clark demonstrated Lu Shengli's 16 Postures Essential Fight form and fighting exercise. 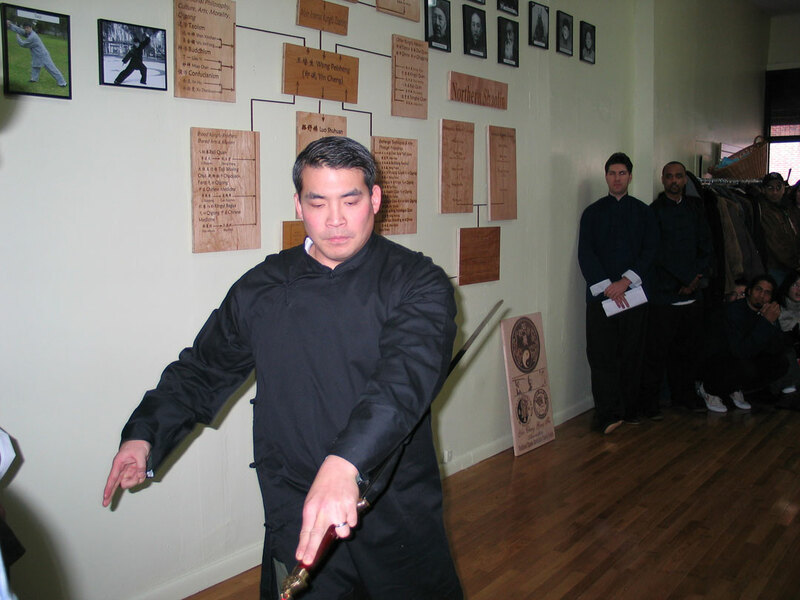 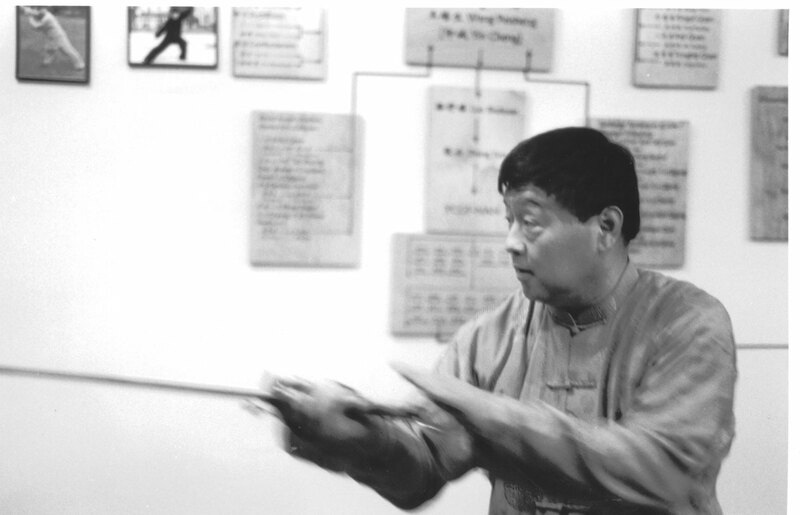 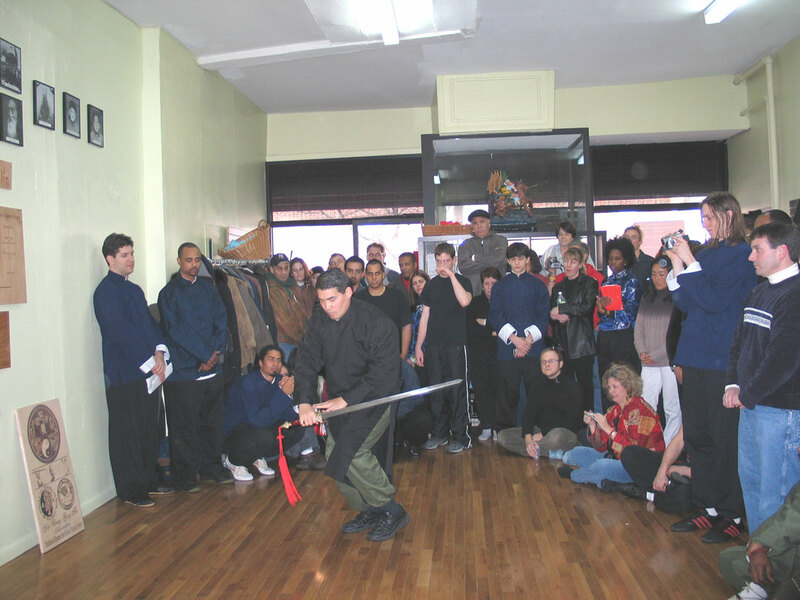 Shifu Ming Lao demonstrated traditional Taiji Jian - straight double edge sword. 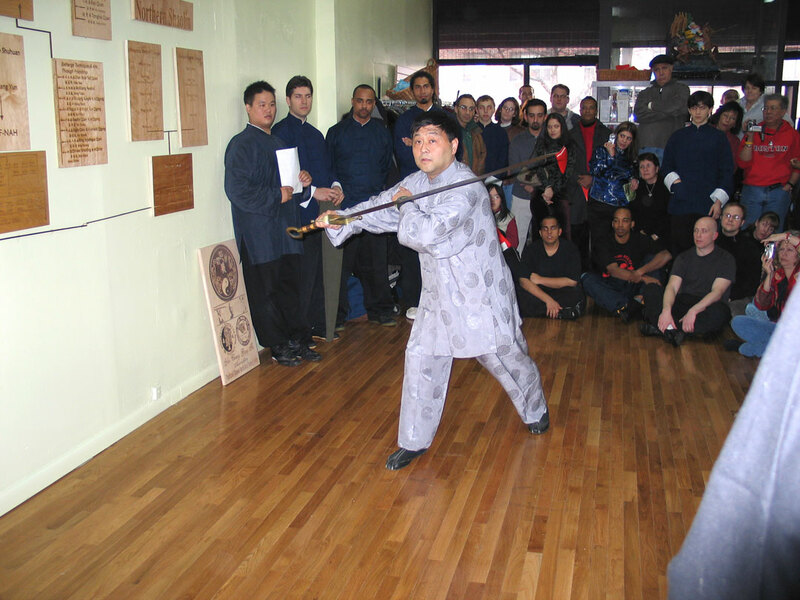 Shifu Clayton Shiu demonstrated Shaolin straight double edge sword. 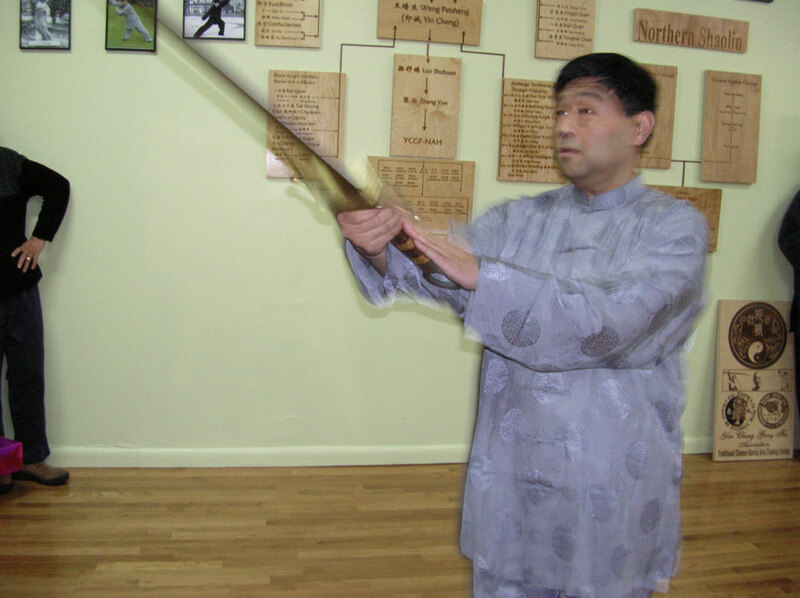 Master Zhang Yun demonstrated Taiji Dao - board sword and Taiji empty hand applications with Shifu Strider Clark.